It is estimated that fully-autonomous vehicles will require an estimated one billion lines of code – compared to just 145,000 needed to land on the moon in 1969. 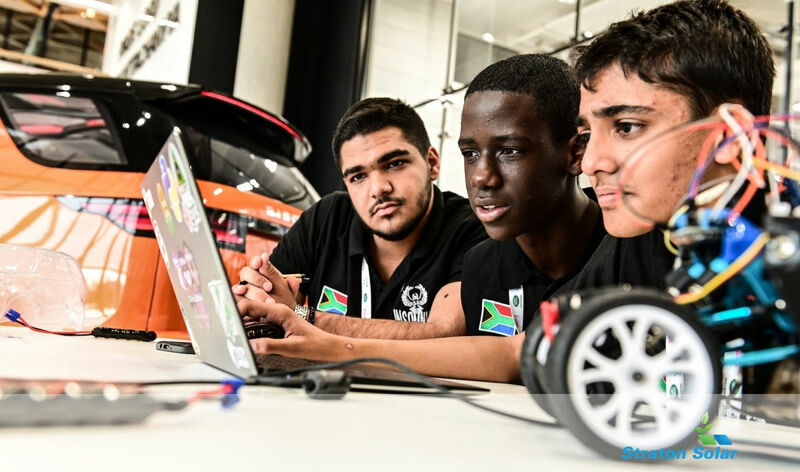 To that end students from 14 countries, including South Africa, have qualified for the Land Rover 4×4 In Schools Technology Challenge world finals. Tomorrow’s engineers are already learning to code at school to prepare for self-driving future and bridge the skills gap and bemnefit from the Land Rover 4×4 In Schools programme which is inspiring future talent to offset global STEM skills shortage with almost five million more people with specialist digital skills needed globally by 2023. Self-driving cars will require an estimated one billion lines of computer code – almost 1,000 times more than the 145,000 lines required by NASA to land Apollo 11 on the moon. To meet the growing need for more coders to deliver these future autonomous and connected vehicles, Jaguar Land Rover is looking to inspire the next generation of software engineers. As of 2018, there were 23 million software developers worldwide but this population is expected to grow to 27.7 million by 2023†. With World Economic Forum research suggesting 65% of students today will end up working in jobs that don’t currently exist*. The Land Rover 4×4 in Schools programme has helped the company reach more than four million young people since 2000. This year 110 students from 14 countries, including South Africa, qualified for the world finals held at the University of Warwick, with the NewGen Motors team from Greece lifting the trophy following two intensive days of competition. The two teams from South Africa included Team Rhino SA from Pietermaritzburg Girl’s High School, and The Insomniacs from Roshnee Islamic School in Vereeniging. Jaguar Land Rover is a leader in the development of Autonomous, Connected, Electric and Shared (ACES) mobility services and has invested in Global Pioneering Hubs around the world to capitalise on – including Shannon, Republic of Ireland; Budapest, Hungary and Portland, in the United States. The Land Rover 4×4 in Schools programme was launched in the UK in 2006 and was launched globally in 2015. The Challenge now operates in 20 countries and to date, 15,000 young people have participated in the programme. The competition inspires many students to pursue STEM careers in the automotive industry including former participants who have joined Jaguar Land Rover as undergraduates and apprentices.